Jane Iredale Triple Eye Shadow - From elegant to edgy, these silky, richly-pigmented, long-lasting and easily blended eye shadows can create any look. Designed to enhance the colour and shape of the eye. Use them wet or dry; they’re gentle and safe for sensitive eyes. 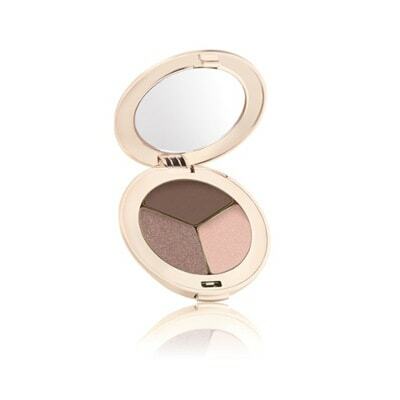 Jane Iredale Triple Eye Shadow contain Boron Nitride, Pink Bark Extract.